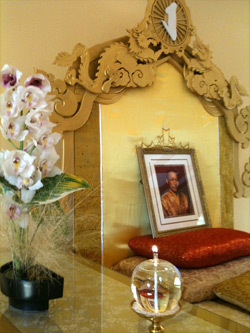 Within the development process for any Centre, there will be various stages of design necessary to explore and clarify the Guiding Principles involved in creating a building or environment that expresses our unique Shambhala culture. The following list is offered only as a summary of possible stages, and is not meant to be either definitive or complete. Role Study – Establish the overall vision and direction for the Centre. Feasibility Studies – Investigating what is actually possible or allowed for a particular site or building, given the vision for the Centre and the requirements set forth by any governmental authorities having jurisdiction over the project. Facility Programming – Identify the services / programs to be provided at the Centre and the staffing / volunteers needed. Translate this information into specific space requirements (Master Program). Create a complete list of all structures, interior and exterior spaces, along with their square footages, specific attributes and interrelationships. The list can be developed in more and more detail as the Project progresses. Conceptual design – Exploring the relationship between all the elements of the project established in the programming phase, in terms of space planning, massing and the general scale of the project. Site Plan/Master Plan design – Determining the location, orientation and relative size of all structures and planned outdoor spaces; all vehicle and pedestrian circulation; and the general location and routing of all site utilities; in relationship to climate, existing landforms, water and drainage patterns, vegetation and so on. Describing the basic character, style and material palette of all those elements. Sustainability Evaluation – Determining the level of sustainability that is possible for the project in terms of building and energy systems, as well as the building process itself, within the available resources and the project budgets. Schematic Design – Describing the project through drawings in plan, elevation and section that are to scale, but often in a loose or sketch format, along with a preliminary selection of building materials for the project. Design Development – Describing the entire project in more detail, including interior elevations, reflected ceilings, typical floor and wall sections, and all the various schedules, such as door, window, equipment and so on. Coordinating all of those elements with any structural, mechanical, electrical or other engineered systems that may be required for the project. Interior Design – Selecting all plumbing and lighting fixtures, appliances, cabinetry, hardware, trim and millwork, finish materials and colors, as well as any details or special layouts for those elements, as required for the project. This can be a part of the set of architectural documents, depending on the scope of those services. Selecting window coverings, furniture and artwork can also be included. Landscape Design – Integrating any outdoor space into the overall project design. Describing and detailing any grading, drainage systems, sprinkler systems, plantings, pathways, water features, patios, walls, fences, trellises, gazeboes, or other garden structures for the project. Some of this may be included in the set of architectural documents, depending on the scope of those services. Construction Documentation – Completing a full set of architectural documents with all the necessary drawings, notes, dimensions, details and specifications necessary for the permitting and actual construction of the project.